The London Dungeon is a London Attraction based in the old County Hall on the South Bank of the Thames. Through a series of live shows, special effects, rides and computer graphics it illustrates many of the more gruesome aspects of 1000 years of London History. The London Dungeon was created in 1974 as a museum of macabre history, however in recent years has become more a live action interactive show with emphasis on horror and humour. Owned by the Merlin Entertainments who also run the Sea Life London Aquarium, Madame Tussauds and London Eye. 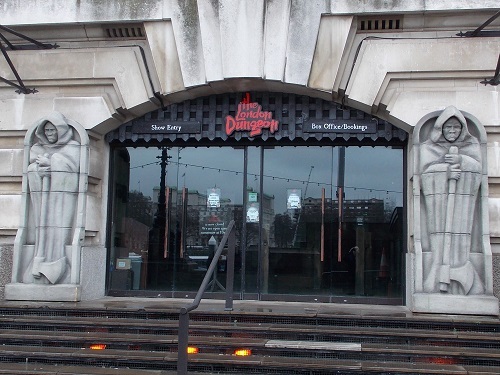 The London Dungeon only moved to its present home in 2013 from its previous home in Tooley Street, London Bridge which was its home for 39 years. 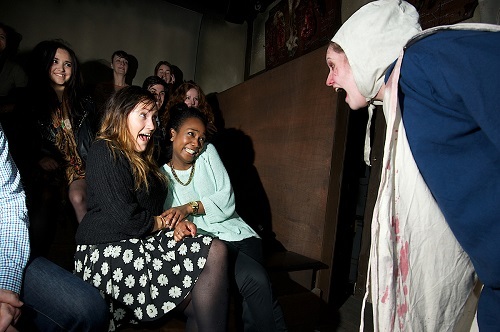 The London Dungeon offers an interactive view of history, where the visitors often play an active part in the entertainment. One you enter the dark entrance of the Dungeon you are taken to a medieval lift and descend into a subterranean world, you then enter a dark tunnel where you find yourself with some of the characters from the Gunpowder Plot beneath the Houses of Parliament in 1605. 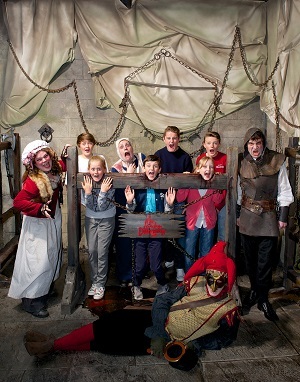 After meeting Guy Fawkes you will join Anne Boleyn for a boat ride to the Tower, be given a quick lesson in torture and then transported to 1665 to find London suffering from the Black Plague. If you escape the leeches, you will wander down Bazalgette’s Sewer to Mrs Lovett’s Pie Shop. You probably will not be tempted to taste the pies once you see the ingredients and if you are lucky you will escape a close shave with Sweeney Todd. 19th Century Whitechapel is the next port of call where you learn about the reign of Jack the Ripper and after a confusing walk down the streets you arrive at the Ten Bells Pub on a stormy night. If you think you are safe, think again as the lights go out. Now is the time for your trial, as you enter the Courtroom and come face to face with the Judge, if you are guilty you will end up at the Newgate Gallows and the Drop Dead Drop Ride to Doom. London Dungeon with its actors, special effects, stages, scenes and rides is a very different attraction, it is a sort of ‘horrible histories’ with added horror and gore. It is intentionally dark and atmospheric with visitors often disorientated by the tunnels and passages, historic London is recreated in a number of sets and the actors guide you from scene to scene. There are some genuine shocks and surprises with a number of special effects to illustrate the often macabre history of London. 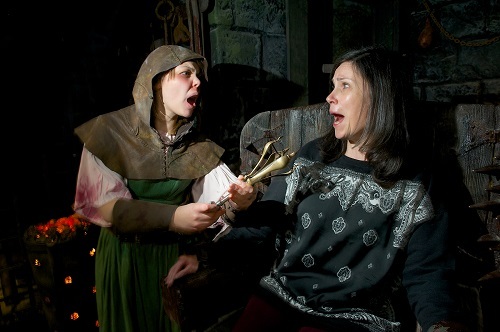 It is safe to say that London Dungeon will not appeal to everyone, it is not recommended for children under 8, visitors who are under 16 years of age must be accompanied by an adult over 18 years of age and if you are of a nervous disposition it is probably not for you. However the attraction is very popular with many visitors who like to experience a scary and humorous 90 minute journey through 1000 years of London’s murky past. VLG Tip – As with many attractions in this area, long queues are evident at peak times, therefore it is to your benefit to pre book and look for combined offers with other attractions. By londonvisitors2014 in London Attractions, South Bank on January 1, 2014 .